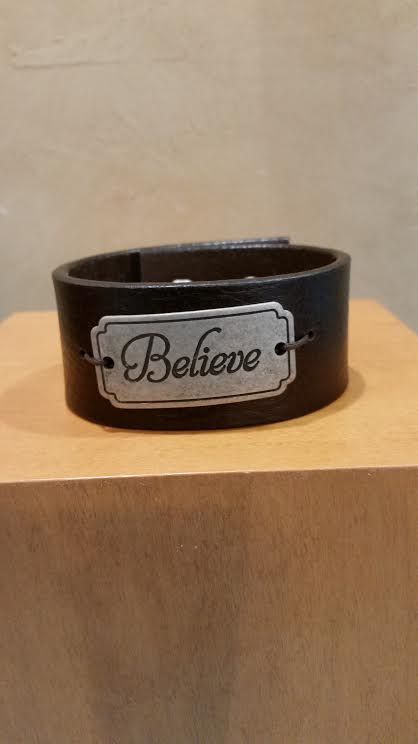 These are one of kind bracelets on vintage leather belts. This one has Believon it. It closes with 2 snaps, so this would could be adjusted in need be.